Editor’s Note: We’re more than a quarter of the way to one hundred Points Interview features today! 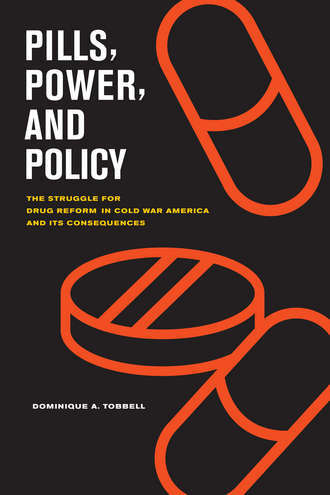 We dry out from our recent spate of alcohol histories to pop a few pills with Dominique Tobbell, our twenty-sixth interview subject and author of Pills, Power, and Policy: The Struggle for Drug Reform in Cold War America and Its Consequences (California, 2012). My book explains the complex relationships between drug companies, physicians, and academic researchers. During the 1960s and 1970s the American drug industry confronted a reform movement that sought to reduce prescription drug prices by securing legislation that would increase the government’s control over drug development, distribution, and therapeutic practice. This reform movement brought together congressional Democrats committed to protecting the economic interests of consumers and organizations dedicated to increasing Americans’ access to affordable health care. It also included state welfare agencies and hospital groups struggling to balance their budgets amidst rising costs, and a growing number of physicians who accused drug firms of spending far more on misleading and excessive marketing than on research, needlessly driving up the costs of prescription drugs. My book describes this reform effort and the historical emergence of a politically powerful pharmaceutical industry in opposition to it. In the decades following World War II, the industry developed extensive networks with academic researchers, medical schools, and government officials. These relationships underpinned innovation and growth in the U.S. pharmaceutical sector and formed the basis of the industry’s political support after the war. I argue that the shared interests among academic researchers and the drug industry and the industry’s responsiveness to the needs of the biomedical community led the drug industry, organized medicine, and leading academic physicians to join forces against reformers in the 1960s and 1970s. My book demonstrates the economic and intellectual influence of drug industry interests on research universities and medical schools in the second half of the twentieth century. Because of its focus on pharmaceutical politics, my book explores the dynamic process by which drug companies, physicians, patients, and regulators debated, contested, and defined the regulatory framework for prescription drugs in the U.S. after World War II. As drug and alcohol historians have shown, this regulatory framework has necessarily had a determinative role in defining the legal status of specific of drugs, at the same time that these same groups—drug companies, physicians, patients, and regulators—have been the central actors in demarcating, maintaining, and contesting the boundaries between licit and illicit drug use. My book, I hope, will thus provide drug and alcohol historians with valuable context for understanding the political and politicized history of drugs in American society in the second half of the 20th century. Also, as I describe in my book, the drug industry’s political strategies served as a model for other industries eager to secure the guidance, expertise, and credibility of academic researchers as they fought against public criticism and expanding government regulation. The tobacco industry was one such example. Following the release of the Surgeon General’s Report on Smoking in 1964 and passage of the Federal Cigarette Labeling and Advertising Act of 1965, the American tobacco industry looked to the pharmaceutical industry for lessons on how to develop better public relations. As one tobacco industry representative reflected, the pharmaceutical industry should be a natural ally of the tobacco industry “because of their heavy involvement with the FDA” and their success at preventing enactment of tighter regulations of its products and practices. To this end, in 1967, the Tobacco Institute hired the pharmaceutical industry trade association’s public relations director and in short order was implementing some of the pharmaceutical industry’s public relations strategies. There’s much still to be explored about the possible connections between the politics of prescription drugs, the politics of tobacco, and the politics of drugs and alcohol in this period, but I hope my book will at least raise interesting questions and stimulate discussion among drug and alcohol historians. I began research for this project by reading the industry trade association’s yearbooks. From 1959 through 1982, each year the Pharmaceutical Manufacturers Association published the proceedings of its regional and national annual meetings. In reading through these yearbooks I was amazed at the remarkable consistency—between the late 1950s and the mid-2000s—of the criticisms made of drug firms by politicians, the press, physicians, and patient groups and the equally consistent arguments that firms mobilized in defense of that criticism. Even now the book is finished, I continue to be fascinated by the degree of continuity in the politics of prescription drugs and in the nature of the relationships between industry, academia, and the government, despite all that has changed in the American political culture and in the health care field since the 1950s. Clearly the industry’s political strategy, developed in the late 1950s and early 1960s has worked so well as to stand the test of time. I’m interested to see whether, and if so how, the politics of prescriptions drugs in the United States changes if the current political pressure on the industry continues to mount and if the economics of health care change significantly once the 2010 Affordable Care Act is fully implemented. Every research project leaves some stones unturned. What stone from Pills, Power and Policy are you most curious to see turned over soon? This is probably more of a boulder than it is a stone unturned: The history I describe in Pills, Power, and Policy is very much rooted in the distinctive political culture and political economy of health care in the United States. But how does the history of the politics of prescription drugs and the political strategies adopted by multinational pharmaceutical firms look in those industrialized Western countries with some form of national health insurance; countries in which the government negotiates the price it pays for prescription drugs; or countries in which physicians are employed by the state? We need, I think, to examine the political history of pharmaceuticals in different national contexts, particularly in Britain and other European countries, and to consider what these comparative political histories teach us about the culture and politics of pharmaceutical research, development, and pricing in the current global pharmaceutical economy. Dame Helen Mirren: witty, wise, and British.